The most efficient way to hide a group of classes is by using Edit All Classes from the Classes menu. 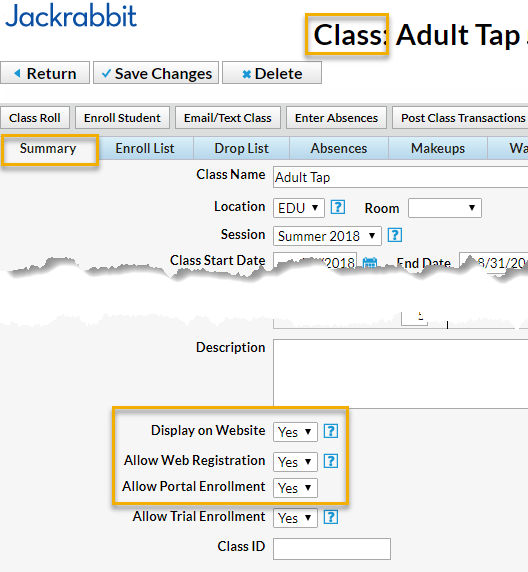 Use the Search Criteria to select only those classes that you wish to hide, for example a specific session of classes or all classes that have a specific Category 1 value. After submitting your criteria selections click Show All to display all pages and then use the Global Change (yellow) area to change the Display on Website, Allow Web Registration, and Allow Portal Enrollment settings to No. Remember to Save Changes.